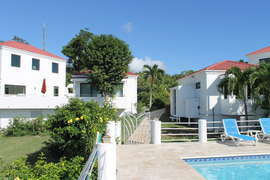 Sunset Ridge Villa-B on St. John, USVI is a budget-friendly vacation townhome with large common pool and ocean views. 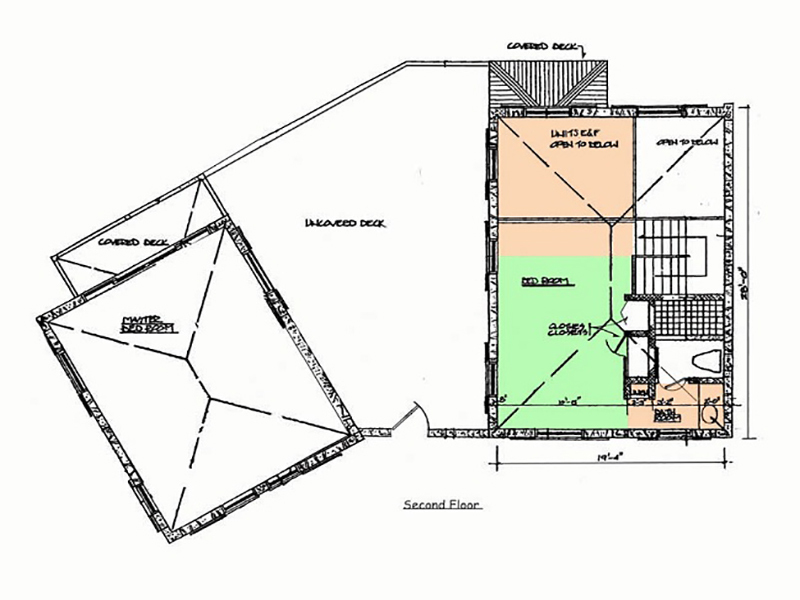 Sunset Ridge Villa B is a deluxe level 2 bedroom, 2 1/2 bath townhouse villa offering approximately 1800 s.f. 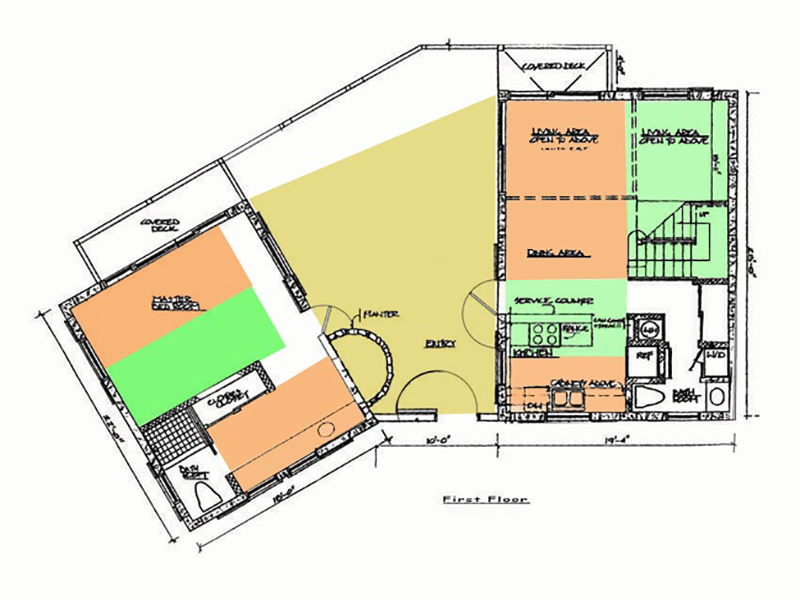 of combined living space. 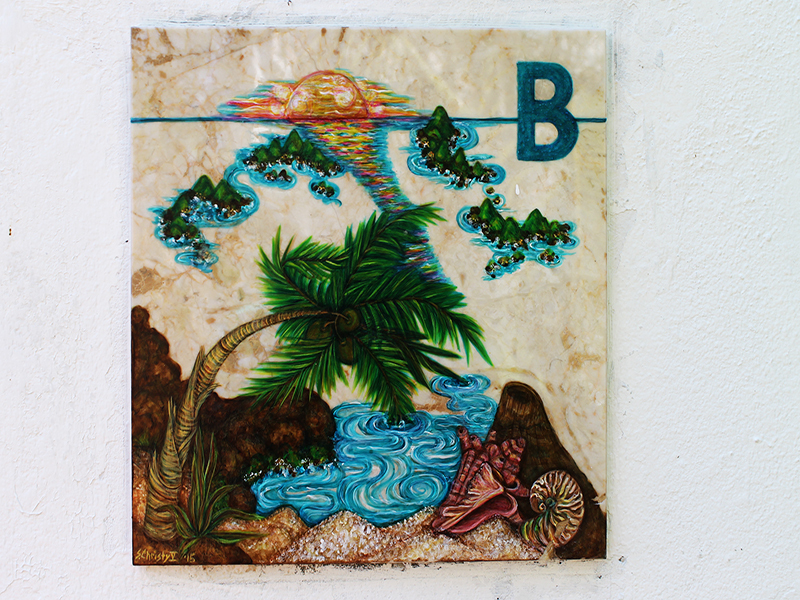 Villa A features a secure, street level entrance through lush tropical gardens opening to a private courtyard with dramatic and panoramic ocean views. The courtyard has lounge chairs for private sunbathing, casual seating areas, a patio table with umbrella and chairs, and a gas BBQ -- an ideal venue for morning coffee, afternoon sundowner cocktails or enjoying alfresco dining under the stars! 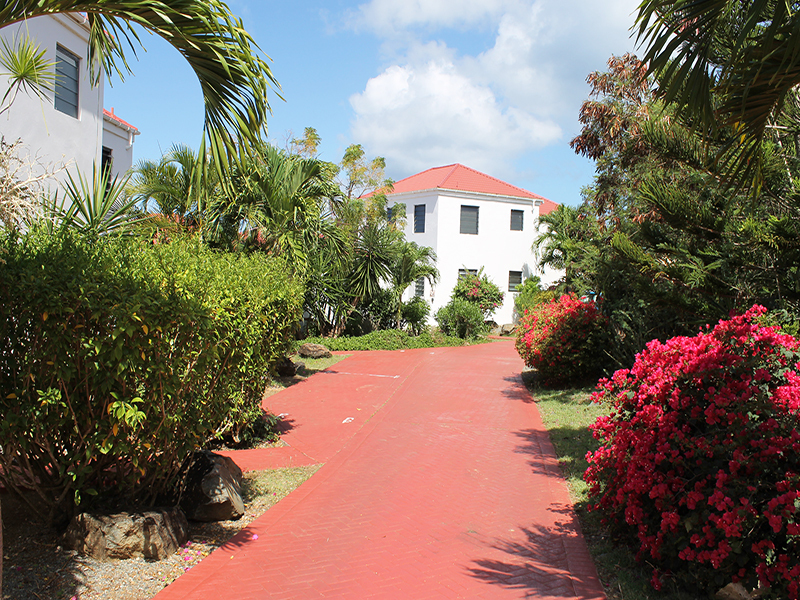 Villa B has an assigned off-street parking area adjacent to the front entry to the villa. 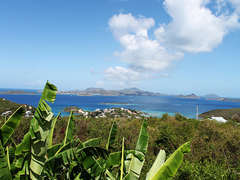 Beach chairs, coolers and beach towels are provided for trips to the world-famous beaches of St. John, most of which are located within the boundaries of the Virgin Islands National Park. 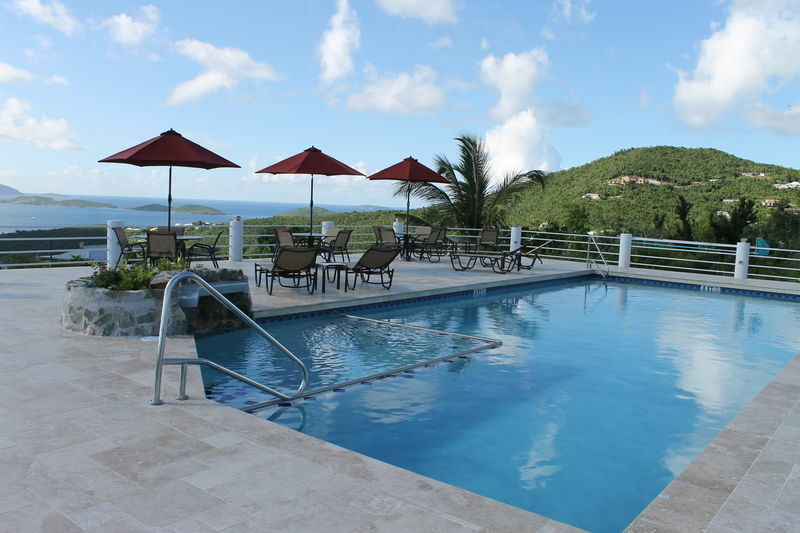 The accommodations at Sunset Ridge Villas offer privacy with panoramic ocean views along with the convenience of being close to Cruz Bay with a variety of options for fine/casual dining, entertainment, and eclectic duty-free shopping. 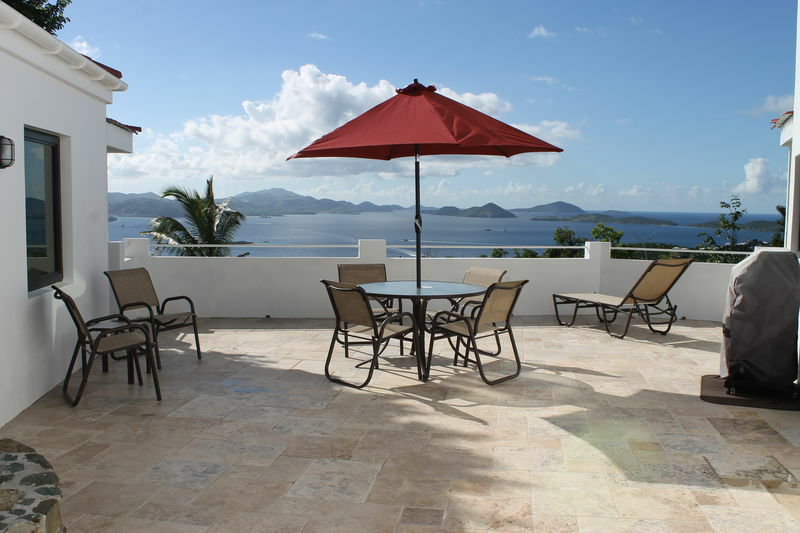 For visitors who may be interested in owning a vacation home on St. John, Sunset Ridge Villas offers a unique and very affordable opportunity to purchase one or more weeks at this fabulous resort. Details will be provided upon request.